A strategic public communications expert, who lost his bid to become a member of the Central Working Committee of the All Progressives Congress in the party's recent national convention, Alhaji Lanre Issa-Onilu, discusses the fallout of the exercise with SUCCESS NWOGU What is your assessment of the just concluded APC national convention? I think it went fairly well and we are all happy about it contrary to the naysayers who felt that the convention was not going to end well. The convention was a platform to reunite the party and it showed the strength of the party. Was the process of electing the national delegates free and fair? There are certain issues about the emergence of delegates across the country. The issues varied from one state to another. In my own state (Kwara), we had factions. The outgone (national) executives recognised the other faction and we went to court. We heard that certain people came as delegates from Kwara State and they were accredited. As good party people, since we are in court, we will abide by the rule of law. APC is a party of integrity. We know that a solution will come eventually to resolve the crisis in Kwara APC as it were. What are the complaints that are common to all the states? In Kwara State for instance, the only people who have been running the party are the so-called new Peoples Democratic Party bloc in the APC and they have marginalised every other elements, the legacy group, which comprises the (defunct) Congress for Progressive Change, the Action Congress of Nigeria, the All Nigeria Peoples Party, and the All Progressives Grand Alliance. They denied several thousands of APC loyalists, membership cards in Kwara State simply because they do not worship at the altar of their own leadership. The moment you don�t belong to their camp, you will be disenfranchised and your membership of APC will not be recognised by their faction. I was amazed when their faction went to Abuja and started shouting that they had been marginalised. These are the same people who ensured that all the appointments made by them, both at the federal and state levels, were given to the nPDP members from the state using their privileged positions. You have been talking of factions. Do you mean the Buhari/Osinbajo faction or the Saraki faction? The nPDP is using its privileged position in Kwara State to strangulate every other group that was part of the merger, including ACN, APGA and ANPP. All these groups in Kwara State were part of the merger. They have been so disenfranchised and marginalised by the nPDP in Kwara State. I belong to the faction that is in support of our President (Buhari) and our government. Why did you contest against the incumbent National Publicity Secretary of the party, Mallam Bolaji Abdullahi, when both of you are from Kwara State? Are you satisfied with the outcome of the poll? There was no way I could have been satisfied. It is all over the media and everybody saw it but what is important is that as a loyal party member, I align with the position of the leaders of the party. We have had a convention and it was successful; so, the outcome of the general elections outweighs any other issue as far as I am concerned because the primary interest is that of the party and not my personal ambition. Are you not contesting the result of the election? Although you said you contested independently, there are reports that Senator Gbemi Saraki sponsored you. Senator Gbemi Saraki is one of the leaders of the APC in Kwara State and even in the national leadership. She is one of my strong backers. What is your opinion about the leadership of Senator Bukola Saraki in Kwara APC? I do not have any opinion about his leadership. He is one of the leaders of APC in Kwara State. We have many leaders in Kwara State. Why are you not on the same page with Saraki? APC has a manifesto and we are running a government; so, I cannot have a divided allegiance. How can I be loyal to the President and still be loyal to any other person? The leader we recognise in APC, either in Kwara or at the national level, is the President and I am fully behind the President. Once the Senate President's interest tallies with that of the President (Buhari), then we are all together in the same boat because the President is the common denominator for anybody who has the interest of the party and who wants the government to succeed. What is the fate of the Saraki political dynasty in the 2019 polls? I do not know what you call Saraki political dynasty because I am aware that the 2011 election had changed the colour of that (dynasty). With the election of 2011, we should not be talking of the Saraki political dynasty again as some people will not agree that a certain individual represents the dynasty anymore. There was a battle within that dynasty in 2011. So, it depends on which wing of the dynasty you are talking about now. How many wings of that dynasty emerged after that issue? The 2011 election was a very major issue. 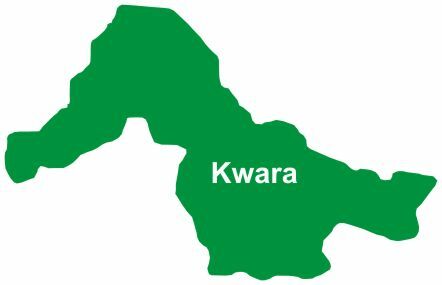 I am sure you are aware of what transpired in Kwara State lately. So, whatever happened was pretty obvious. Do you think APC will win Kwara in 2019? I can assure you that the support for President Buhari in Kwara State is beyond the APC. It is a state-wide support that was demonstrated in 2015 election. President Buhari had more votes in Kwara Central than the votes garnered by Senator Bukola Saraki during the senatorial election. President Buhari is a phenomenon, not only in Kwara but in the entire Nigeria. I can assure you that in Kwara State, when it comes to the presidential election, the result will be overwhelming for the President. It goes beyond party line. But Nigerians believe that the popularity of Buhari has waned compared to 2015 when his integrity spoke for him. The President's credibility now is greater than what it was in 2015. The wailers can continue to have their day but the reality is that Buhari has invested a lot in this country including the area of infrastructure. We have not witnessed the level of infrastructural development that we are experiencing lately. Credibility has to be built on something concrete. In 2015, Buhari's credibility was built on hope but his credibility in 2019 is built on his performances. The credibility that is built on his success stories far outweighs that which was built on mere hope.